Learn How to Make Colorful Twirled Paper Art! 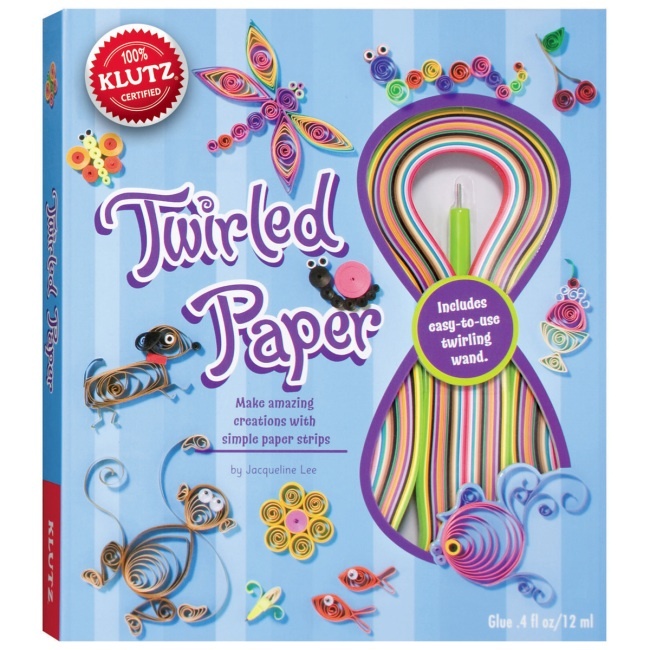 The Twirled Paper Kit is a creative Klutz craft kit for tweens & teens to make amazing creations with simple paper strips. Kit includes a full-color instruction book, easy-to-use twirling wand, 110 colorful paper strips in 28 different colors, 22 googly eyes in 3 different sizes, craft glue, pin board & ruler, and 3 toothpicks. The 56-page twirled paper book includes step-by-step instructions, detailed diagrams, and lots of project ideas. Everything you need to make colorful & fun twirled paper crafts! For ages 10 & up.